Ellen Johnson and Jason Martineau share a musical dance through songs they love, poetry and free improvisation. From a variety of musical genres they aspire to create a duo experience of creative nuance and connection using songs that speak of the many shades of love. Ellen Johnson has been devoted to the arts for more than 35 years as a professional recording artist, educator, songwriter, lyricist, actress, author, and publicist. She has performed, recorded and studied with many exceptional musicians including; Bobby McFerrin, Charles McPherson, Louie Bellson, Sheila Jordan, Jay Clayton, Don Braden, Willie Pickens, Roy McCurdy, and John Clayton. Along with her published lyrics to both Sonny Rollins and Charles Mingus compositions Johnson has over 30 or more published songs. Her recent CD project, Form & formless, centered around free jazz improvisations and featured guitarists John Stowell and Larry Koonse. Through her own company, Vocal Visions, Johnson promotes and produces jazz recordings and music instructional products including, The Warm Up CD, Vocal Builders and You Sing Jazz. Johnson’s recent biography, Jazz Child: Portrait of Sheila Jordan (Rowman and Littlefield Publishing), was featured on NPR and selected by JazzTimes Readers Poll as one of the best books of 2014 and nominated by the Jazz Journalists Association as the best book of 2015. As and educator Johnson has served on the voice faculties of the University of San Diego, Old Globe Theatre’s MFA program, California Polytechnic University Pomona, the California Jazz Conservatory in Berkeley and has given master classes throughout the United States. For more information go to, ellenjohnson.net. Jason Martineau is an award-winning composer, pianist, arranger, and instructor, and has been active in the San Francisco Bay Area since 1995. He has composed numerous works for orchestra, chamber ensembles, solo piano, and chorus, as well as a full-length musical, and over 200 songs, both instrumental and vocal. He has recorded more than ten CDs in various genres, and has also been featured on numerous other artists' recordings as pianist, music director, vocalist, and producer. 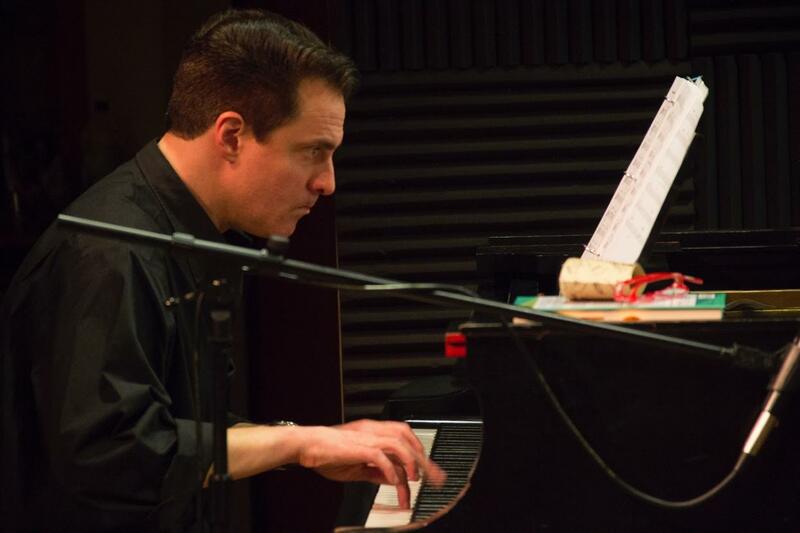 He provides arrangements, original compositions, soundtracks, sound design, accompaniment, private instruction, and musical direction for a diverse and eclectic client base. He has authored a book on music theory released October 2008 entitled "The Elements of Music," published by Wooden Books and Bloomsbury Publishing. His scores have been featured in documentaries broadcast on PBS stations around the US since 1998. In 2011 he joined the faculty at the Academy of Art University, teaching music notation, theory, film scoring, harmony, and counterpoint. He has also been a guest lecturer at CIIS in San Francisco, and was adjunct faculty at the San Francisco Conservatory of Music for the 2014-15 academic year.